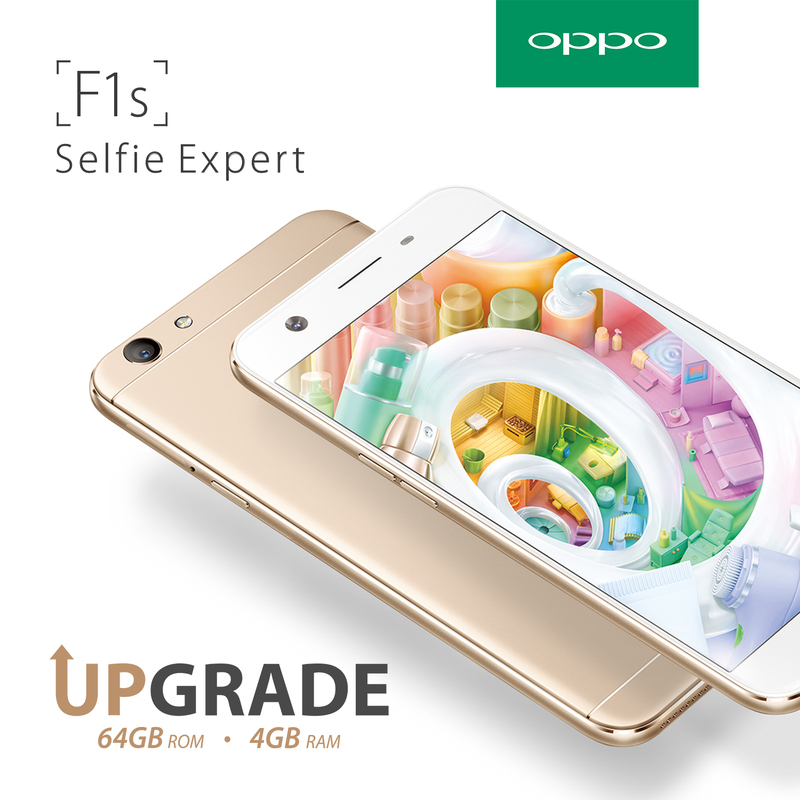 An upgraded variant of the OPPO F1s with increased internal storage capacity and larger RAM for snappier performance will soon make its debut in Philippine stores. The upgraded F1s expands storage space from 32GB to 64GB, and sports a 4GB RAM instead of the original 3GB RAM. The new variant will be available in concept and dealer stores starting February 3. The new phone retains the other specifications of the original F1s including the 16-megapixel front camera for crisp and vivid selfies even in low light, thanks to a 1/3.1-inch sensor and large f/2.0 aperture. The new variant also retains the 13-MP front camera, palm- and voice-activated selfie commands, the fingerprint-activated calling and app launch, and the beautification feature Beautify 4.0. Though the upgraded F1s doubles the original’s internal storage capacity, the triple-card slot allows for an extra SD card to expand memory further by up to 128GB, enough to store more than 40,000 photos. The expanded storage works together with the F1s’ bigger RAM and ColorOS 3.0 to support the phone’s octa-core processor for fast performance when launching, using, and installing apps. The brand new F1s will be available at P13,990.